Luxury charter yacht ESCAPE BY SEA was built by American Marquis Yachts in 2005 in collaboration with Italian designers Nuvolari & Lenard Marine Architects of Venice, she measures 21,3m (70ft). 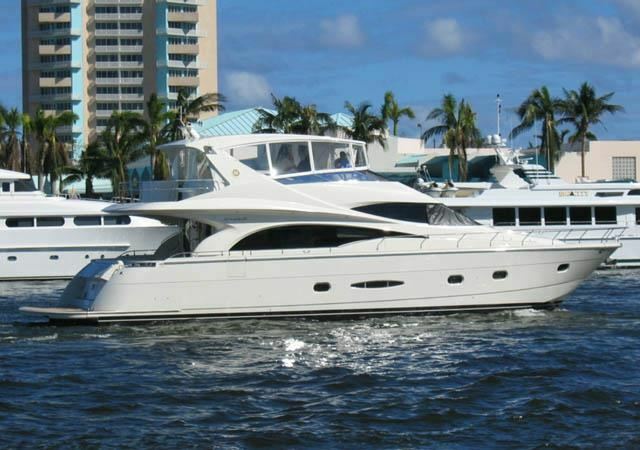 M/Y ESCAPE BY SEA can accommodate up to 6 guests in 3 plush cabins and is available for charter in Florida and the Bahamas. 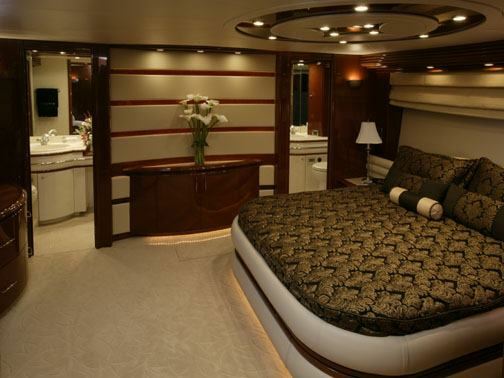 Aboard the ESCAPE BY SEA motor yacht the interior décor boasts a high quality finish and deluxe atmosphere. The salon is aft featuring Italian leather soft furnishings in a neutral cream tone, jewel like polished cherry wood panels give a sophisticated air, large signature windows allow in ample natural light. 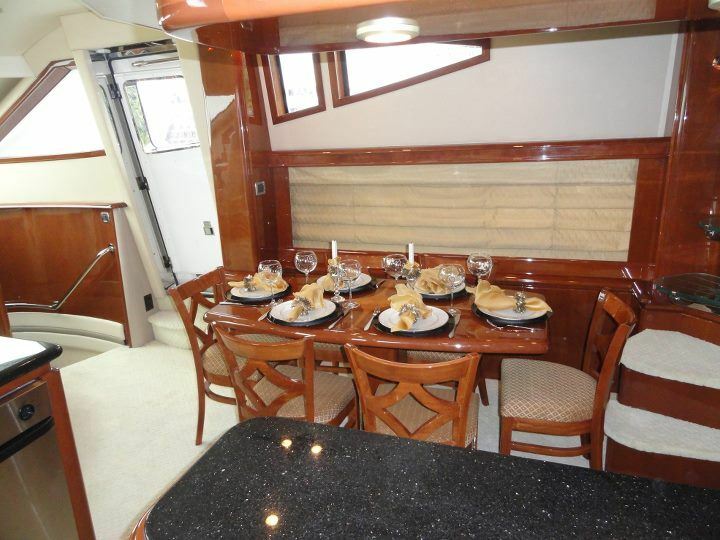 Forward of the salon the formal dining table for 6 is placed to starboard. 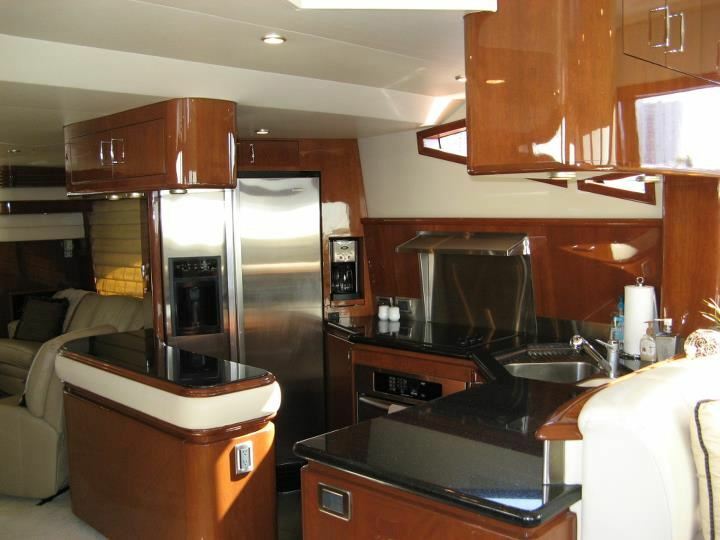 The galley is laid to port boasting fine dark marble counter tops and high end stainless steel appliances. 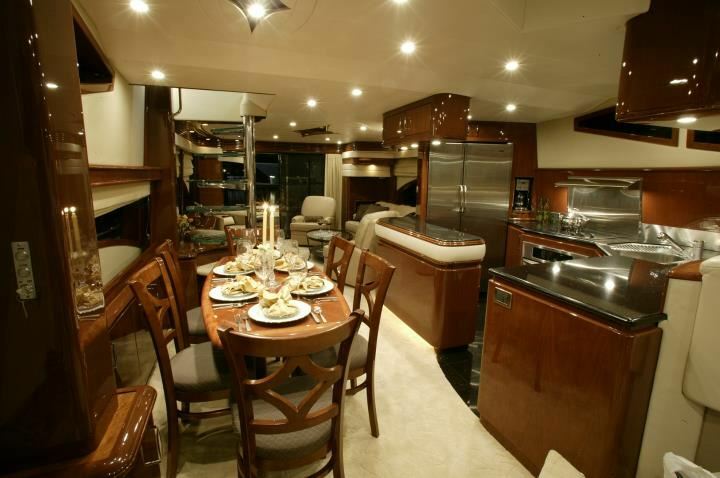 Forward of the dining / galley area the helm station offers additional leather seating in a U shaped sofa with small table. Guest’s access the staterooms forward of the dining area, also giving direct access to the deck through a sliding door on the starboard side. 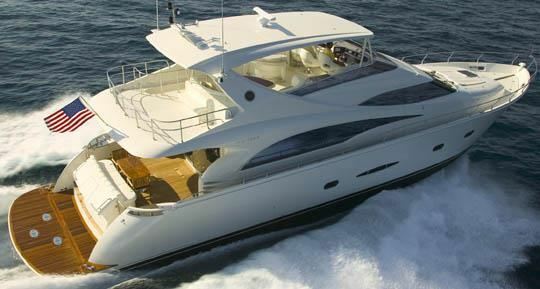 Charter yacht ESCAPE BY SEA has plenty of exterior options to enjoy. 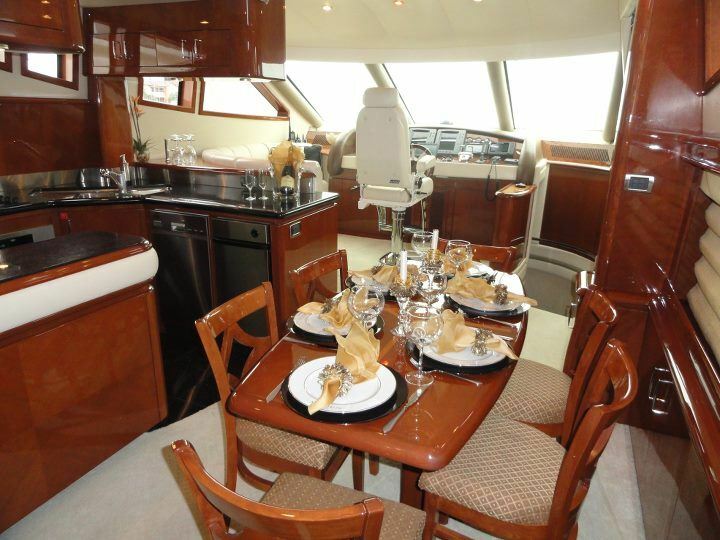 The aft deck is shaded and offers an alfresco dining option and additional seating. An extended full beam swim platform lets guests easily access the water and water toys. 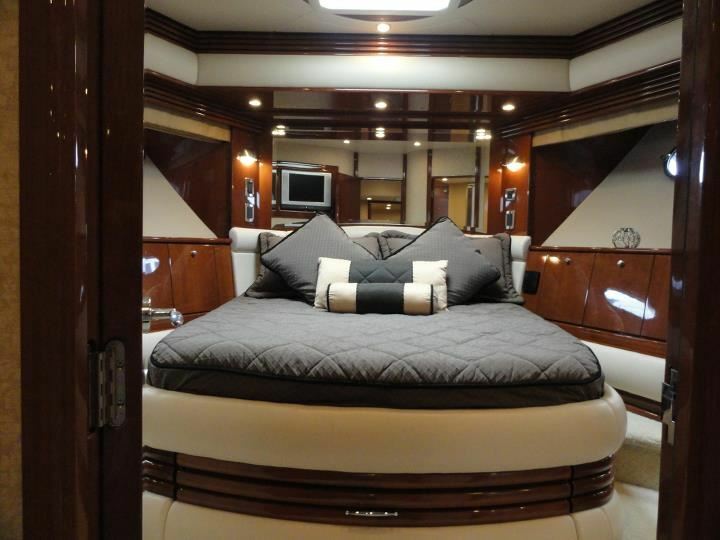 Side decks wrap around the yacht in a 360 degree style. 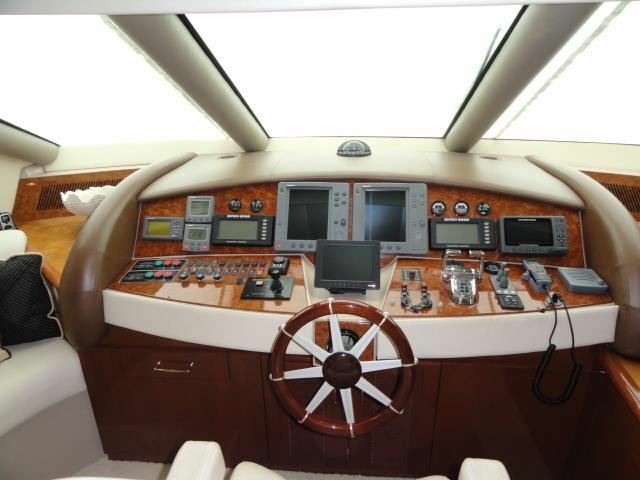 Above the main deck and accessed from either the salon or aft deck, the flybridge is perfect for entertaining. 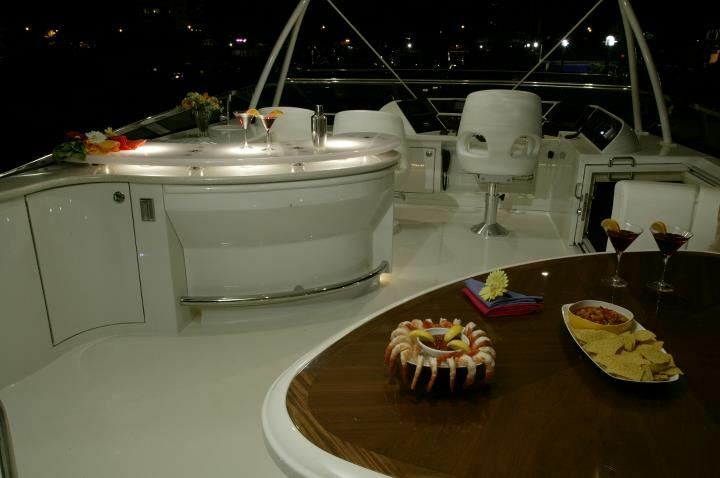 Just aft of the helm station a full wet bar provides the frosty cocktails, a large alfresco dining table seats everyone comfortably and an extended deck is ideal for the sun lovers. 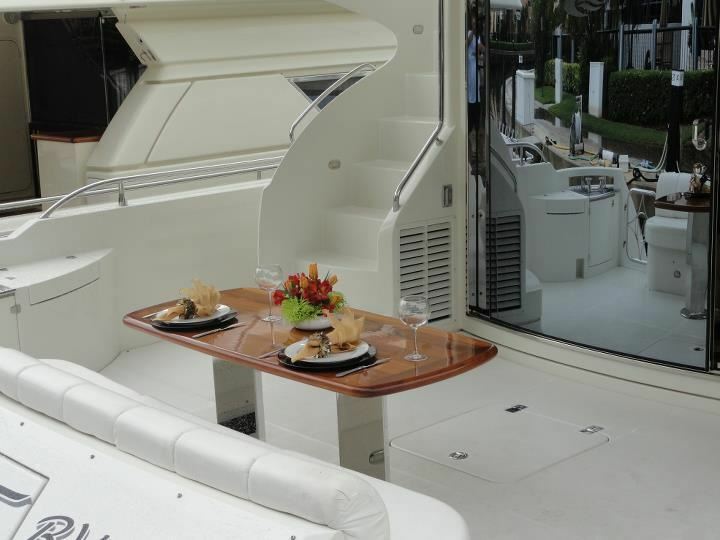 An optional Bimini cover can enclose the helm station, bar and dining table. 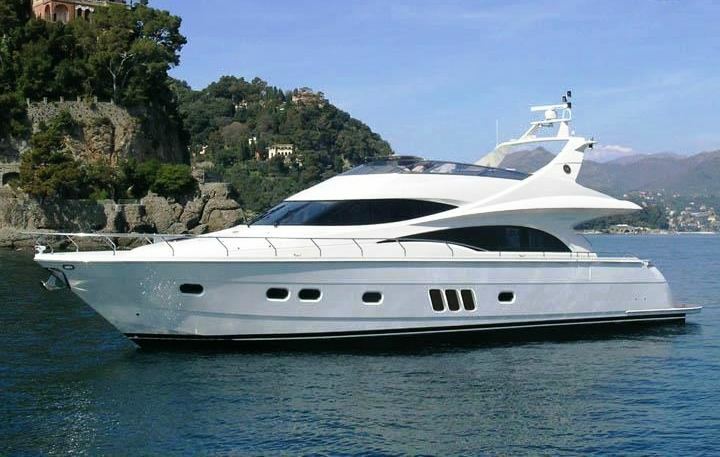 Motor Yacht ESCAPE BY SEA has a beam of 5.4m (18ft) and a draft of 1.8m (6ft) and can easily reach speeds of 26 knots cruising with top speeds of 33 knots powered by 2 x MTU 1500HP engines. 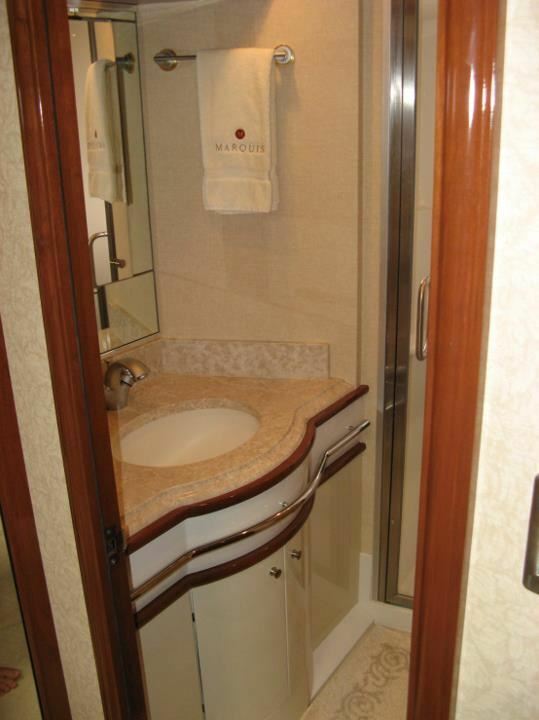 Yacht ESCAPE BY SEA accommodates 6 guests in 3 en-suite cabins. 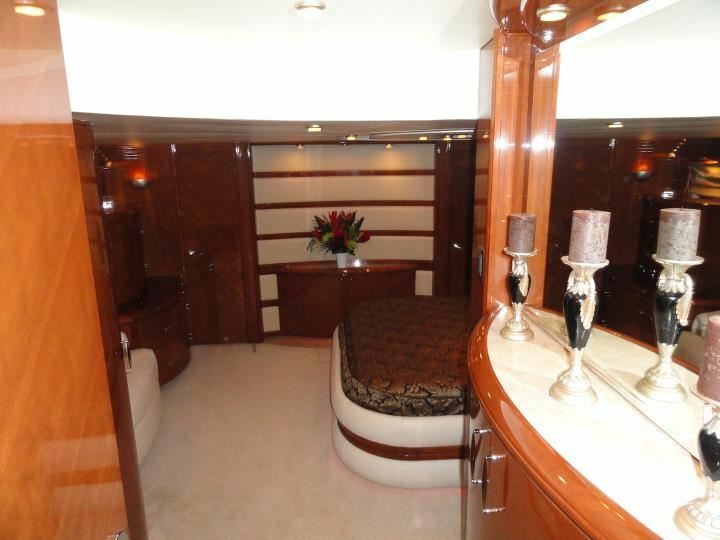 The master suite is full beam of the yacht amidships with a king size bed, sofa, vanity and his and her toilets with shared shower. 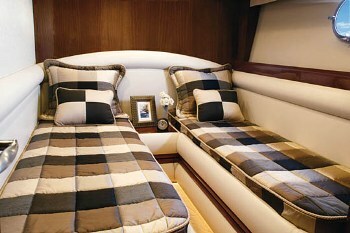 The VIP cabin is forward and full beam of the yacht with a queen size bed and en-suite facilities. 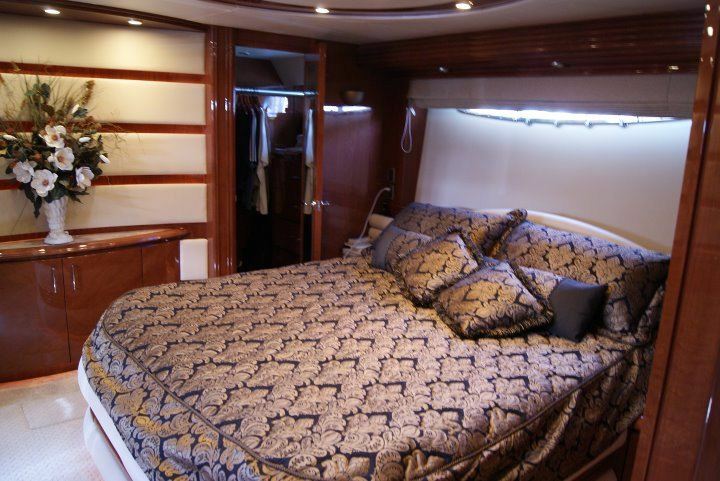 A further guest cabin is starboard with 2 side by side single beds and en-suite facilities. All 3 cabins are furnished in a tasteful neutral décor, receive ample natural light and feature fully equipped entertainment systems. 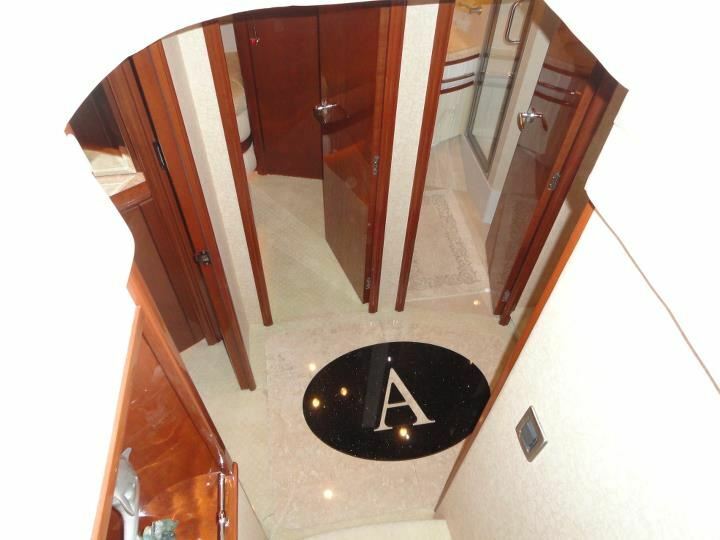 Charter yacht ESCAPE BY SEA boasts great amenities and extras that include a 3.35m (11ft) Jet Tender with a 96HP engine, Water Skis, Wake board, Knee board, Floating matts, Light fishing gear, Snorkel equipment, TV in salon and all cabins, SAT TV, DVD and DVD library, IPod dock, Hairdryers, Ice maker, Water Maker, Wi-Fi, BBQ.